Black cats have had a mixed reaction for centuries with many people believing them a bad omen even in 2016. 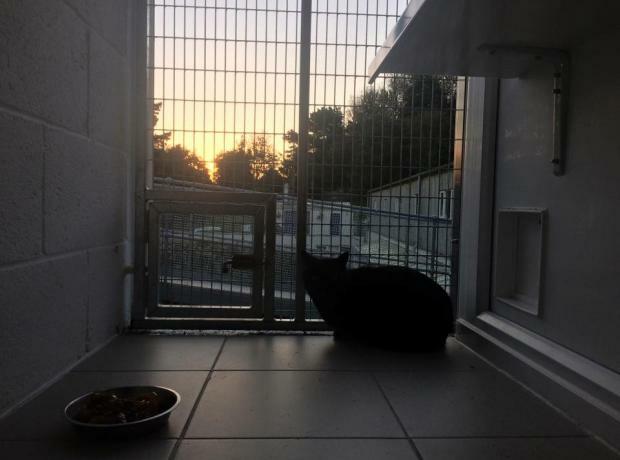 Despite each year at the GSPCA and many other charities promoting black cats in need of homes they continue to be the main colour of cat that is often skipped by when new adoptees are looking to adopt a cat. Today is National Black Cat Day, a day to raise awareness of the many black and white cats waiting for homes in rehoming centres. Black cats have had a mixed reaction for centuries with many people believing them a bad omen even in 2015. This Halloween there are black cats in many homes in Guernsey, but the GSPCA have more black cats than any other at the Animal Shelter. At the GSPCA 50% of the cats are black or black and white that are in for rehoming, welfare reasons or stray.